The girl who bleeds from her eyes. The strange case of the girl who bleeds from her eyes. 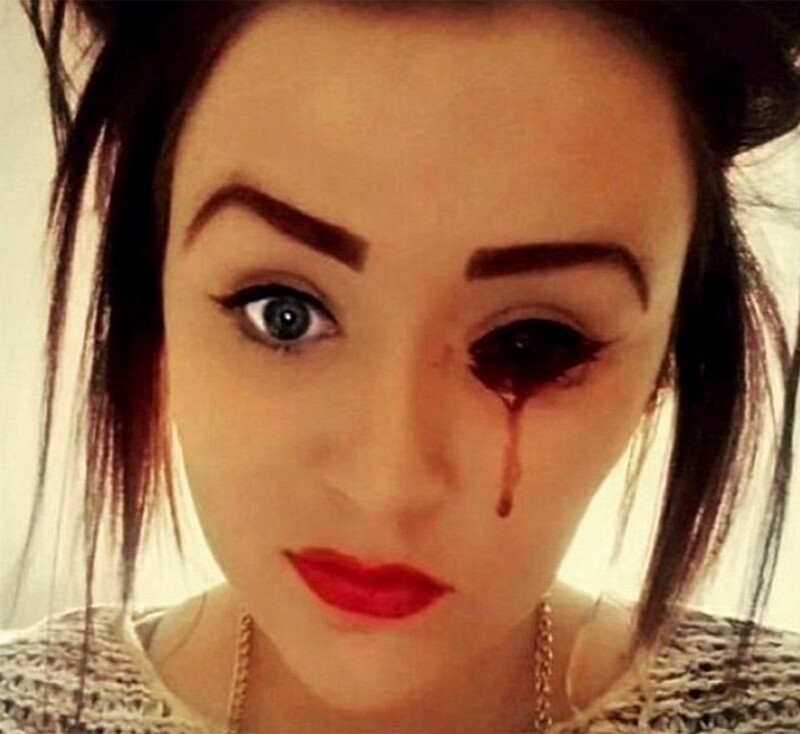 Teenager Marnie-Rae Harvey from Stoke-on-Trent, England, has a weird medical condition that means she regularly finds herself bleeding from her eyes, and disturbingly no one knows why. “It burns and then if it covers the pupils of my eye I can’t see,” says Marnie-Ray. For angst ridden Goths and Emos, bleeding from your eyes might be the ultimate medical condition but for Marnie-Rae she just wants to be a normal teenager. The strange mystery medical condition started in March 2013 when the teenager began coughing up blood. Two years later she was rushed to hospital when blood started coming out of her eyes. Marnie-Rae Harvey’s returned home but two weeks later the freaky event happened again. Marine-Rae had multiple tests, and saw more specialists who eventually found she had a “weakened” immune system but nothing more. But ever since, the strange condition has continued and increased. She now bleeds from tongue, ears, nose, gums, scalp, and even her fingernails. The 17 year old has since seen many medical specialists – from blood experts to neurologists – but no one has managed to work out what is going on. They thought it might be Haemolacria – a rare medical condition that can cause tears of blood – but when Marnie-Rae was tested for it the tests came back negative. Marnie-Rae Harvey says the condition seems to worsen when she is menstruating. She says her limbs and bones often ache and that she lacks energy and constantly feels light-headed. Marnie-Rae is undergoing further hospital tests but for the moment the teenager remains a true medical mystery. Such a horrible case and such a painful condition for the girl. amazing and painful for me to read. How painful it is ! how can she tolerate that much pain?